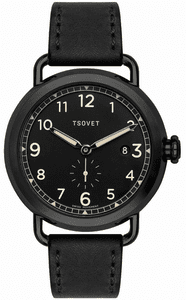 TSOVET�s SVT-CV43 is a feat of modern beauty with classic inspiration. 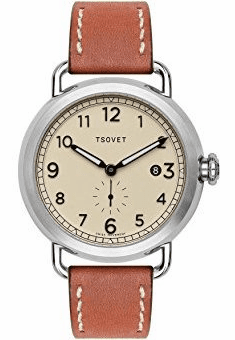 The pocket watch inspired stainless steel case exterior honors primordial timepieces, while the contoured wire lug honors TSOVET�s own classic collection. The elegant curves and minimalist design are a guaranteed win on anyone�s wrist.